Manavikata is a Non-Governmental Organization (NGO), Registered under Society Registration Act 1860,Regd. 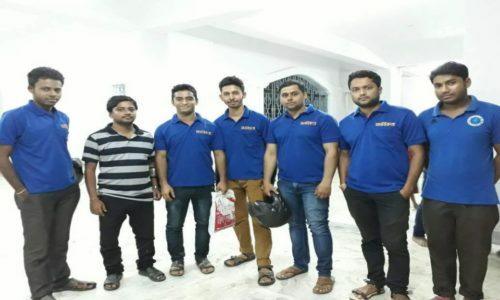 No-7123/2017 recently working in Tripura,Funded by Mr. Sandeep Roy to serve poor and deprived people of our Society who are really needy & helpless. Also our motive to enhance humanity in people and inspire others to do good for others. We believe that God exists in every creature so of we serve people, we are serving God. God will be more pleased if you helpl other unconditionally then God will definately help you. We are waiting for your helping hand, please extend it to support them. 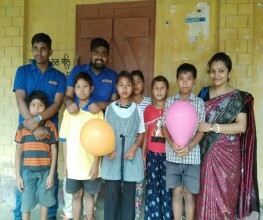 Mr Pankaj Sarkar residence of Agartala showed his immense kindness. 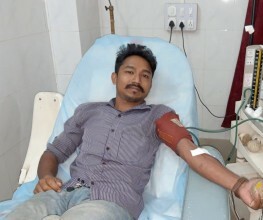 He donated blood to one Cancer patient namely Miss Lalremi Darlong residence of Kailasahar at GB Hospital. On 7th April of each year,with effect from 1950 is celebrated as the World Health Day. The World Health Day is held to mark WHO's founding, and is seen as an opportunity by the organisation to draw world wide attention to a subject of major to global health each year.